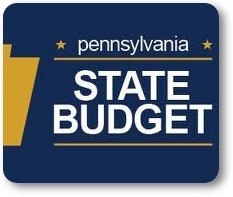 The Pa. Department of Agriculture survived the state budget gauntlet in Harrisburg for Fiscal Year 2014-15 which began July 1. PSCFO wrote legislative leaders June 29 to say “Many of PSCFO’s sixty-plus agricultural organizations are directly affected by the staff capacity at PDA. In this case, a modest increase will stabilize the PDA budget and allow it to meet its directives from the General Assembly.” Following are a number of PDA budget line items compared with the last fiscal year. House Bill 1996 (Lawrence-R-Chester) calling for transparency in milk pricing “over order premiums” (Milk Marketing Board fee per gallon of milk that is supposed to go back to dairy farmers) was reported out of the House Agriculture & Rural Affairs Committee July 1 and was re-referred to the House Rules Committee. 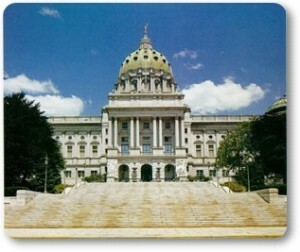 Adopted by the House unanimously was House Resolution 930 (Hahn-R-Northampton) declaring August as “PA Produce Month”. Senate Bill 1188 (Vogel-R-Beaver) re-establishes regulatory oversight of the racing industry under the PA Gaming Control Board. Status: Passed the Senate and referred to the House Agriculture & Rural Affairs Committee June 29, 2014.